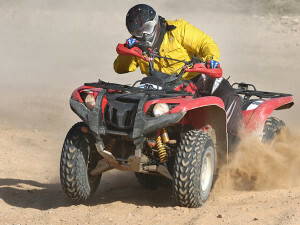 The research follows on from a recent Queensland Coroner’s findings into quad bike deaths, which highlighted the potential risks of children riding motorbikes and quads. Injuries kill more children in Australia than any other cause. There are over 100 serious off-road crashes per year and the majority of those who are killed or seriously injured are children. Dr Christopher Mulligan explains that “unlike adults, children riding motorcycles and quads sometimes don’t have the physical strength, developmental or cognitive skills needed to safely operate large vehicles”. “Childhood injuries and deaths from motorbike and off road vehicle crashes affect children on farms and in rural setting far more frequently than children in metropolitan areas. We know that these vehicles are often essential farming equipment, but we need to find out more about how they are being used on the land to reduce the number of injuries”, says Dr. Mulligan.